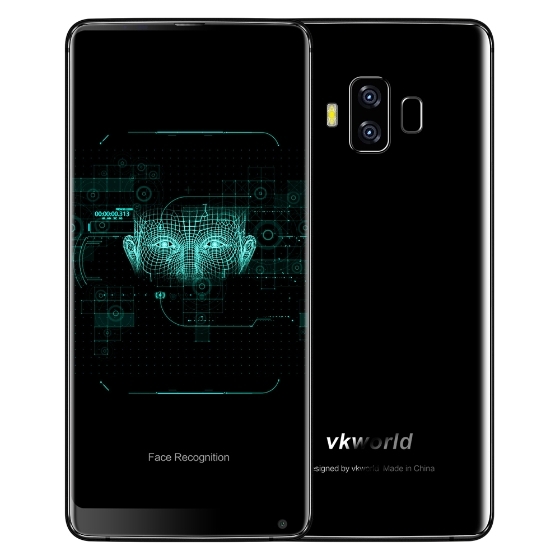 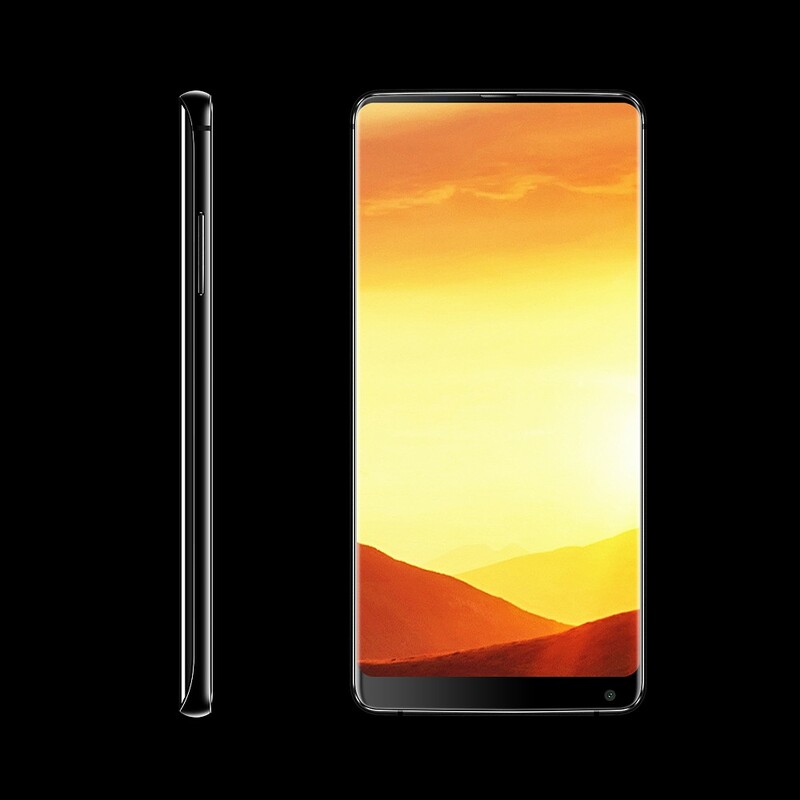 vkworld S8, 0.2s Face Recognition Unlock, 5500mAh, World's biggest-Battery 18:9 Full Screen Phone. 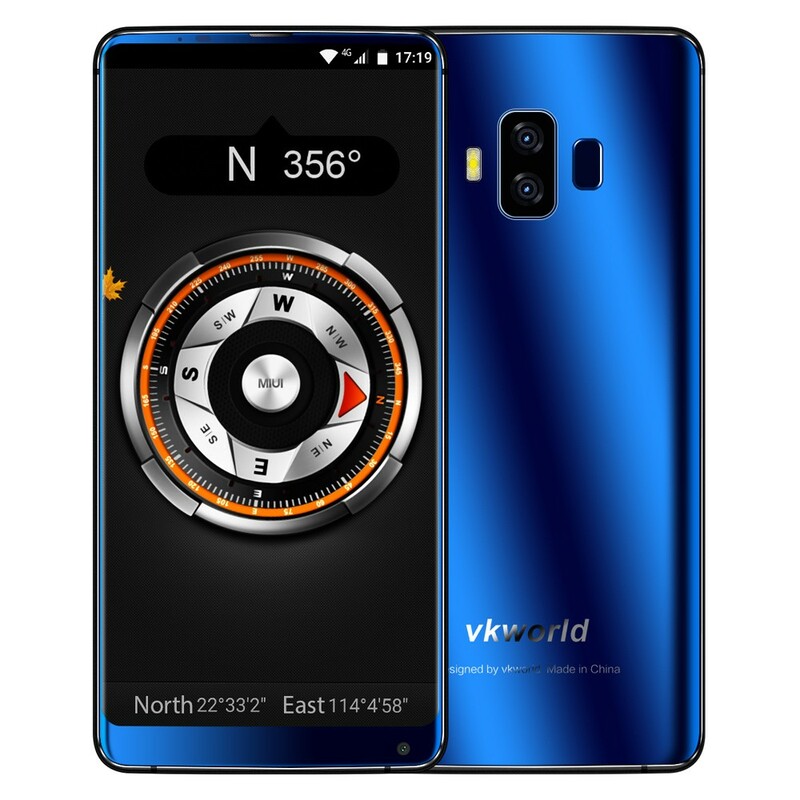 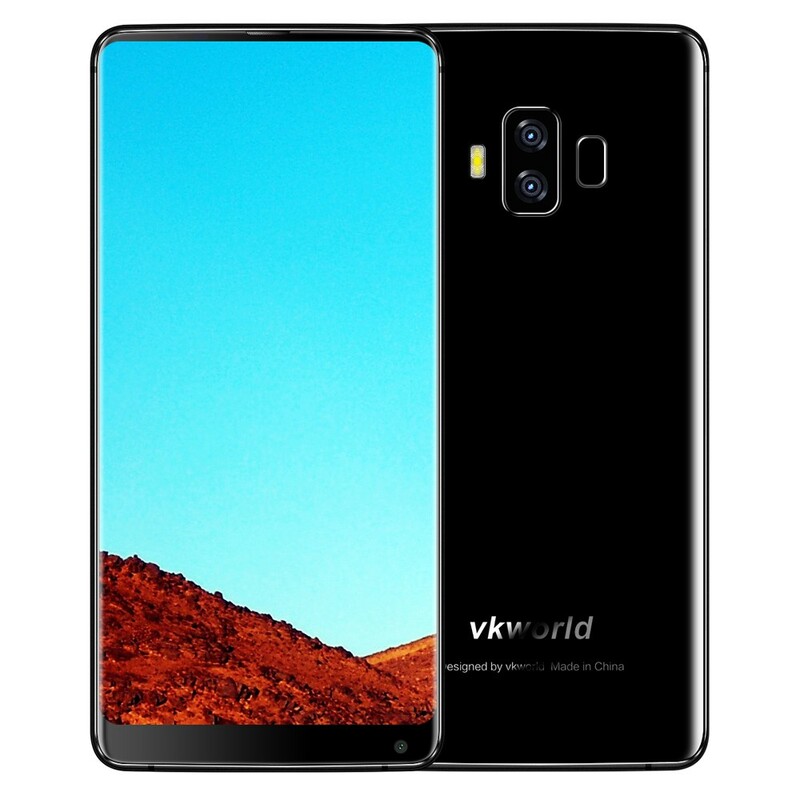 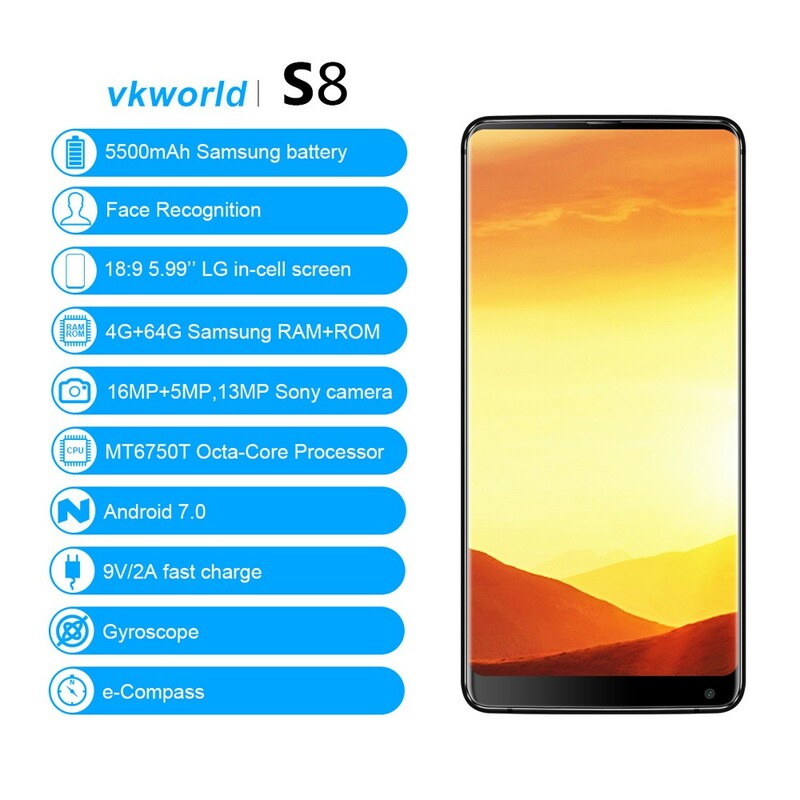 Bigger screen with more compact mini slim body, 5.99" 18:9 High screen ratio vkworld S8 adopts back dual 16.0MP+5.0MP cameras, plus 13MP Front natural-looking facing with soft light, high-quality definition 2160*1080p FHD+ TOUCH Corning Gorrila 4th display, perfect ergonomic seamless design with silk-smooth touch, 4GB RAM smooth multi-task running, 64GB ROM, support 128GB TF card extended. 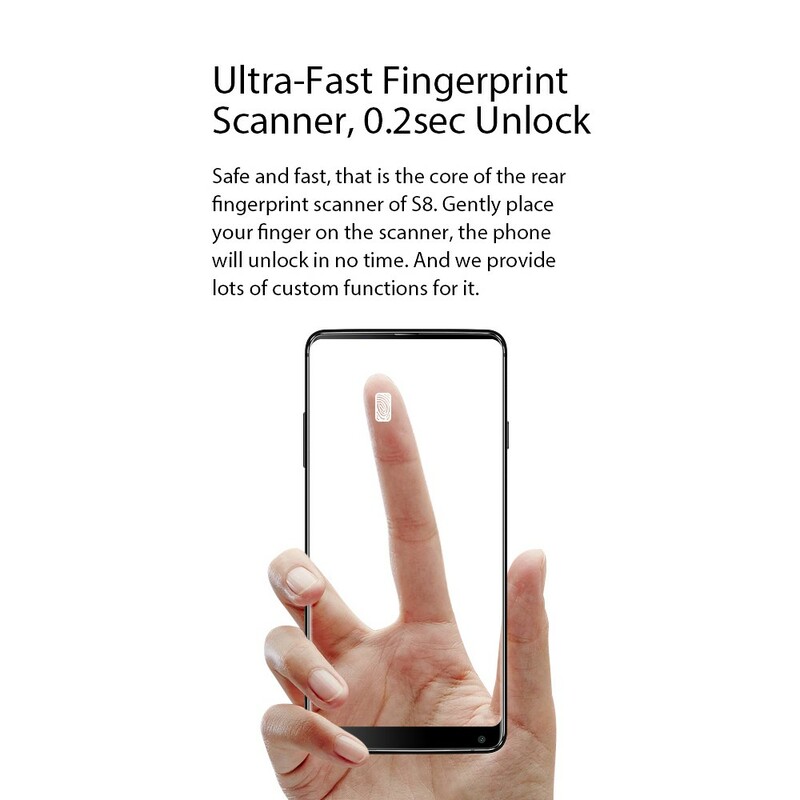 An accurate Front Fast Press Fingerprint Sensor, 360° identification 0.2s response speed. 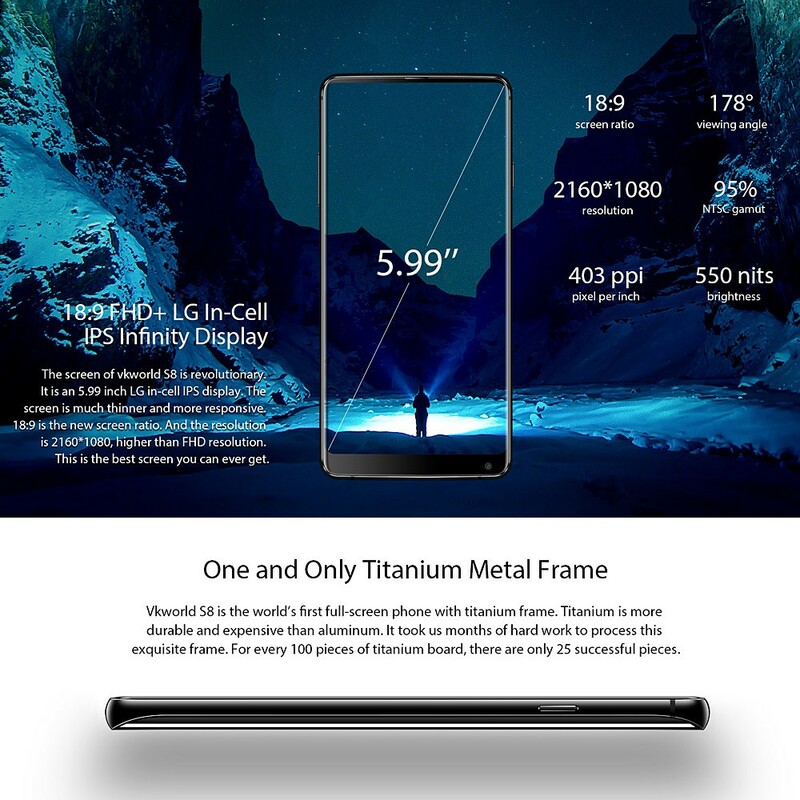 Lastest Android 7.0, stable MTK6750T octa-core up to 1.5GHz processor with Lightning 4G-LTE & WiFi, You can watch movies or show pictures on this 5.99-inch big & bright display. 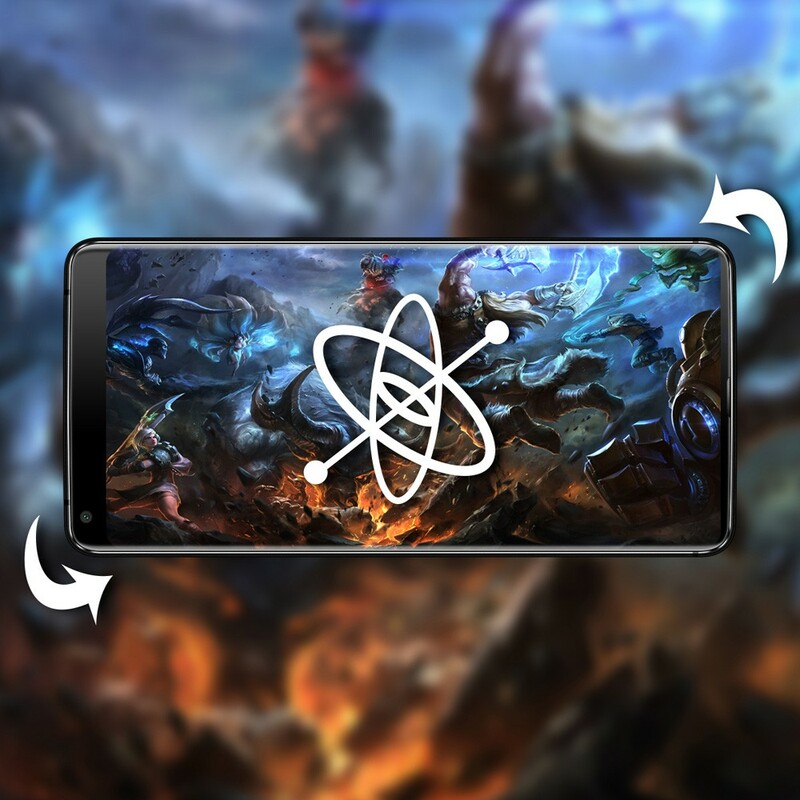 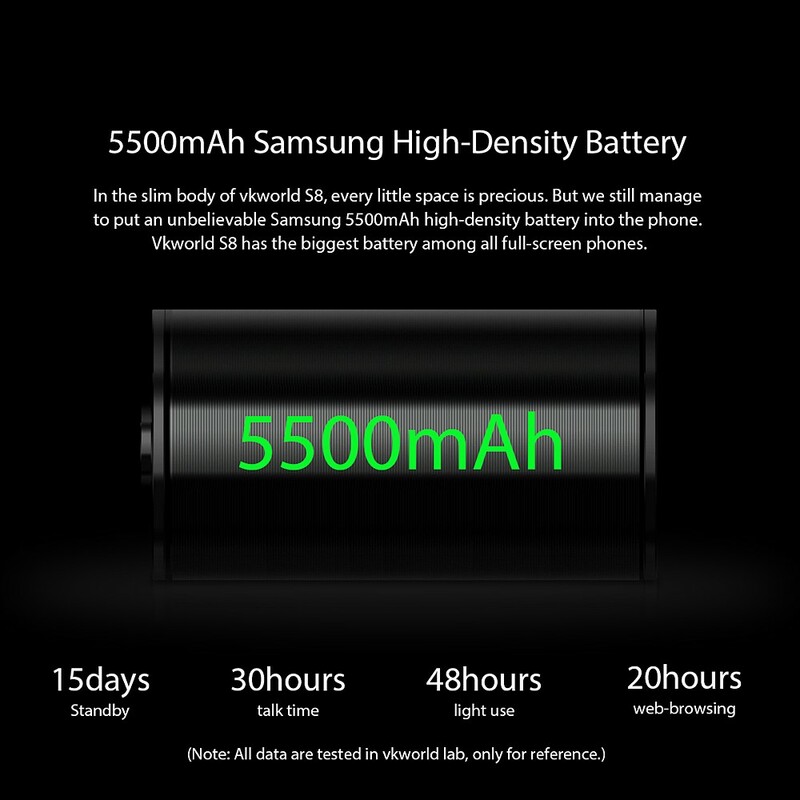 Loud and perfect alarm ringtones and notification, amazing 5500mAh power-saving battery can last for a whole day continuously, help you apping & gaming from day to night, and never lose the important message push, really a good choice for you. 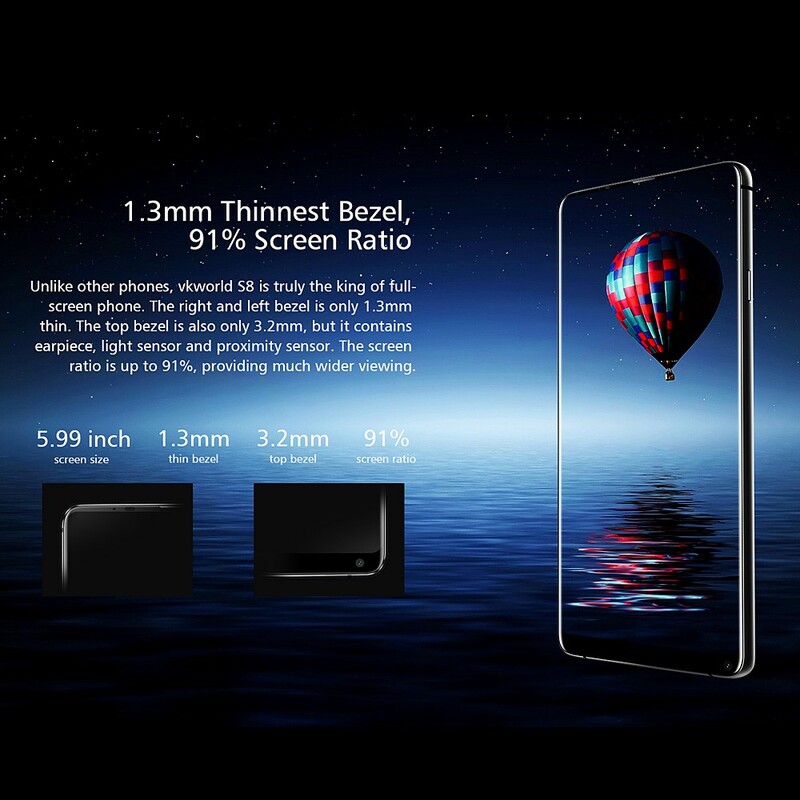 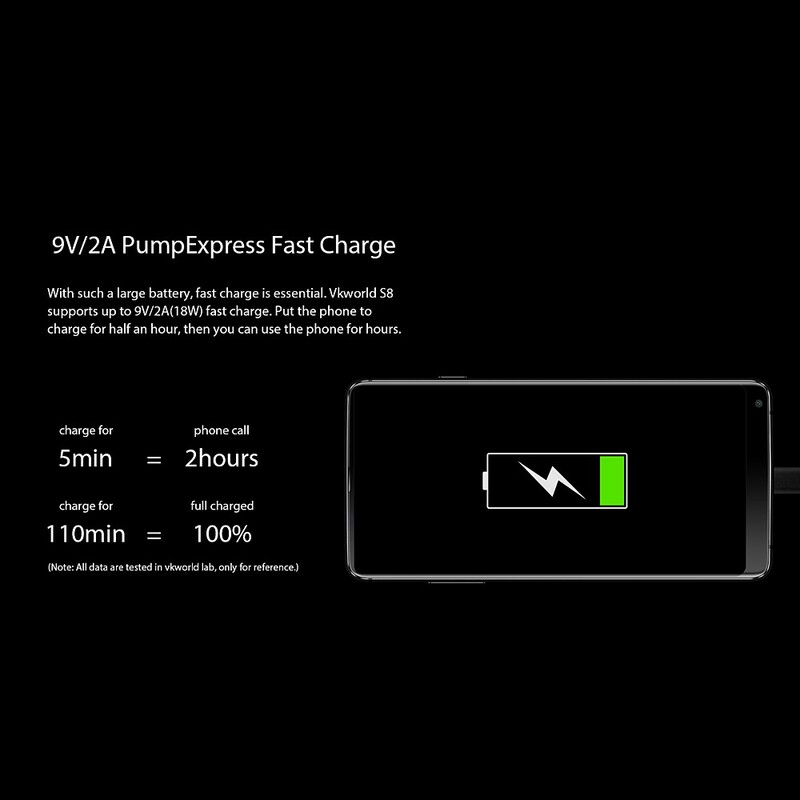 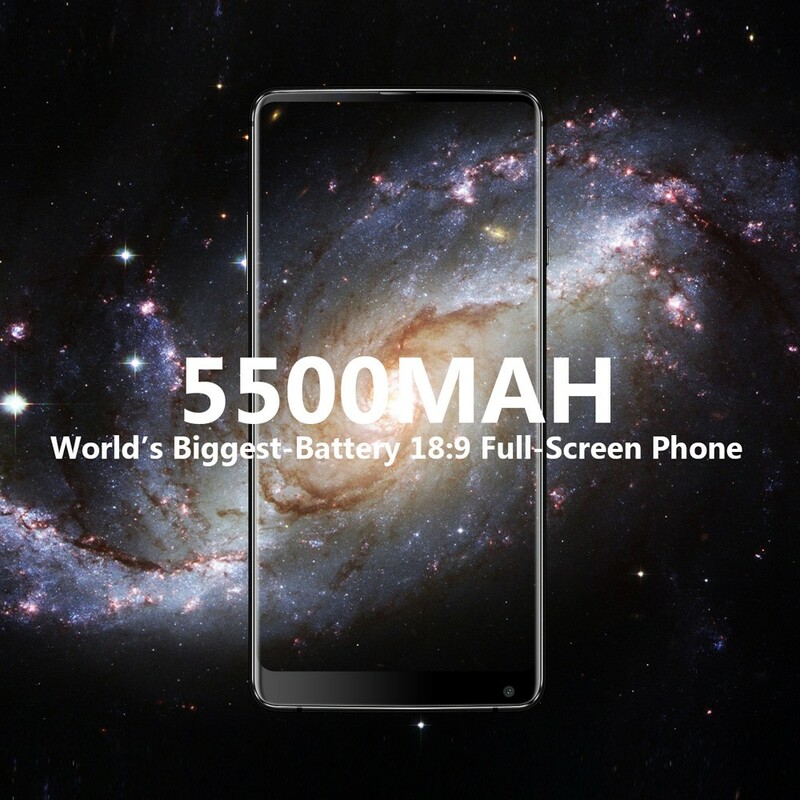 • 5500mAh World's biggest-Battery 18:9 Full Screen Phone Wide 5.99-inch FHD+: High-quality 5.99" FHD+ high contrast touch display with 2160*1080P resolution, high definition great visual effect, vivid color of all your photos, videos, images and game scenarios. 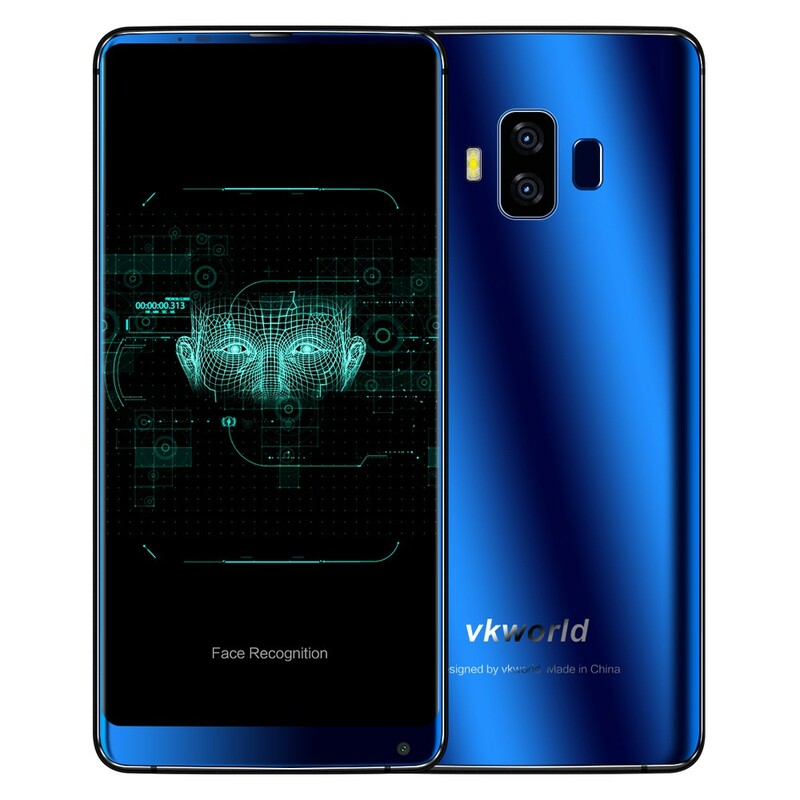 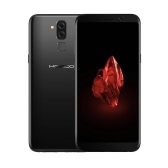 • Face Recognition/Accurate Fingerprint Sensor: Safer and easier face recognition unlock opens the new era; An accurate fast press fingerprint sensor, 360° identification 0.2s response speed, You can set lock and have a quicker access with more secure privacy. 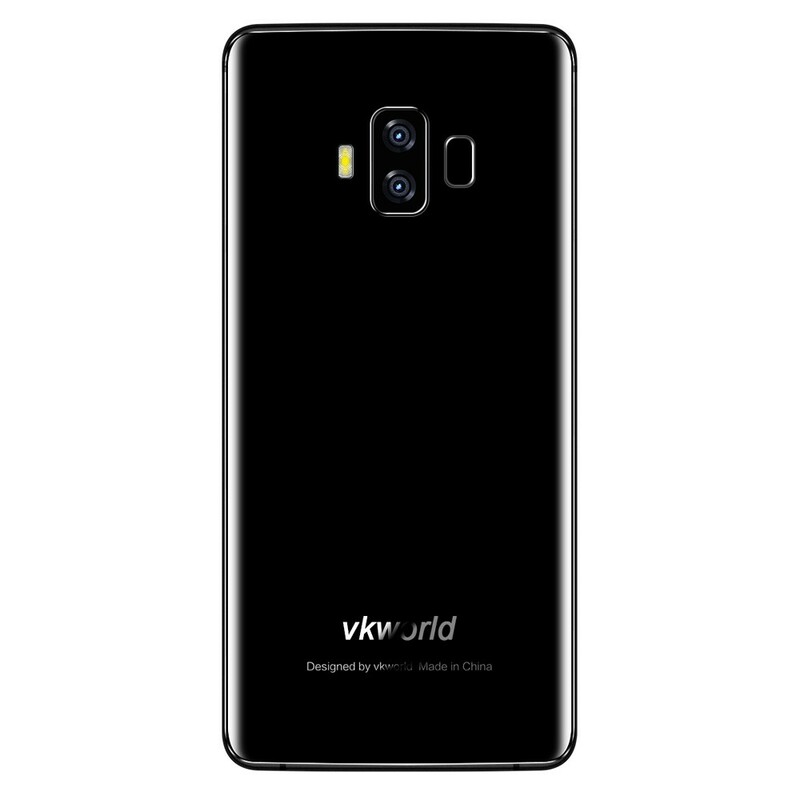 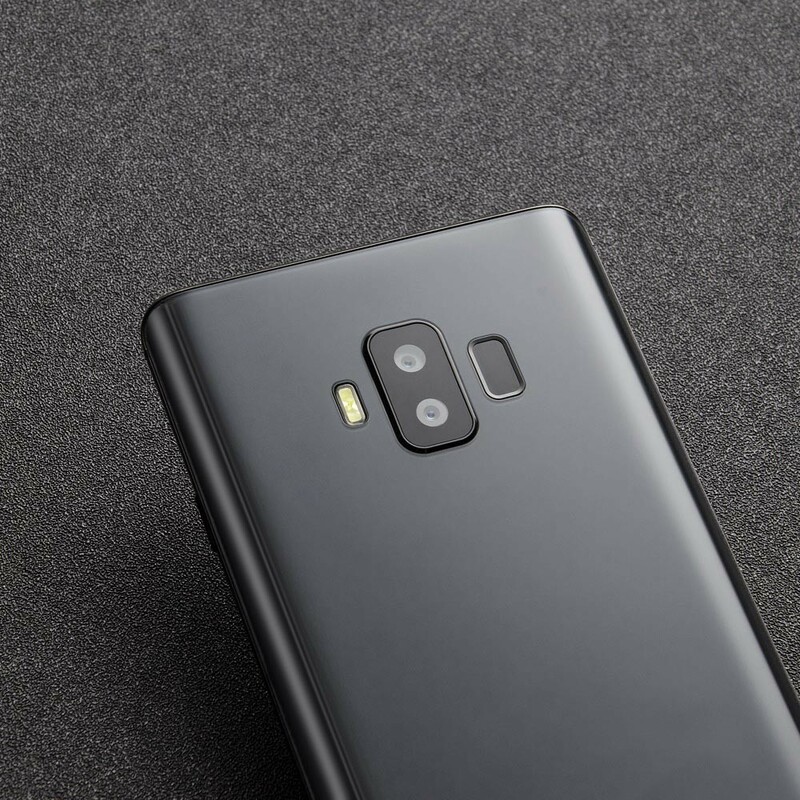 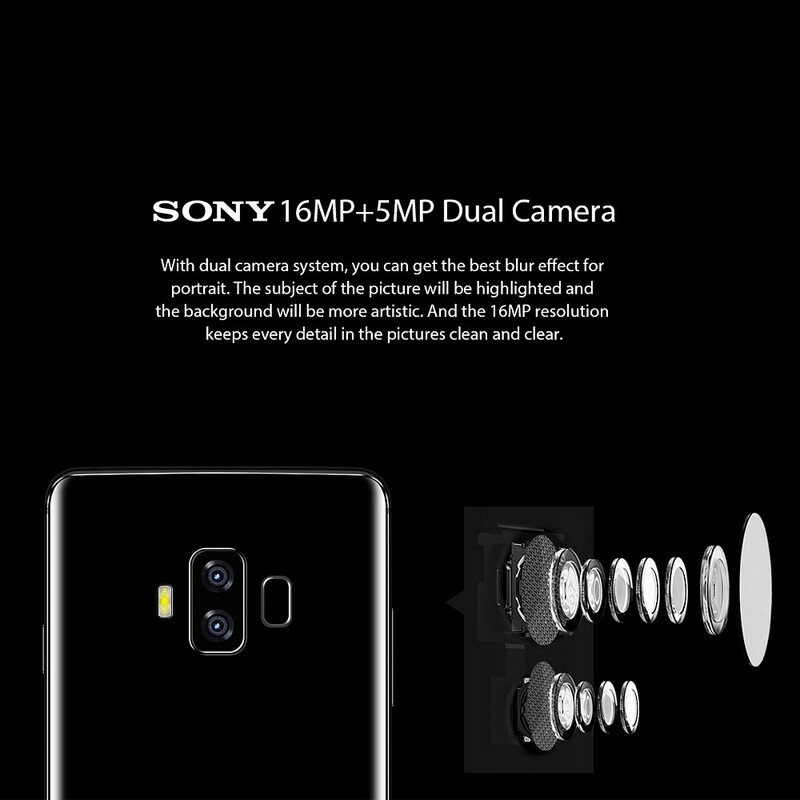 • Beauty-mode Front 13.0MP/Back Dual 16.0+5.0MP Cameras: vkworld S8 adopts dual back cameras, Powerful back wide angle rear cameras, AF, Flash, together with 13MP front facing cameras, will help you to capture all of great moments in your life. 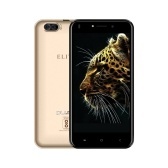 • 64GB ROM with 8-core MTK6750T: Up to 1.5GHz stable MTK6750T octa-core processor, 4GB RAM & 64GB ROM, smooth multi-task running. 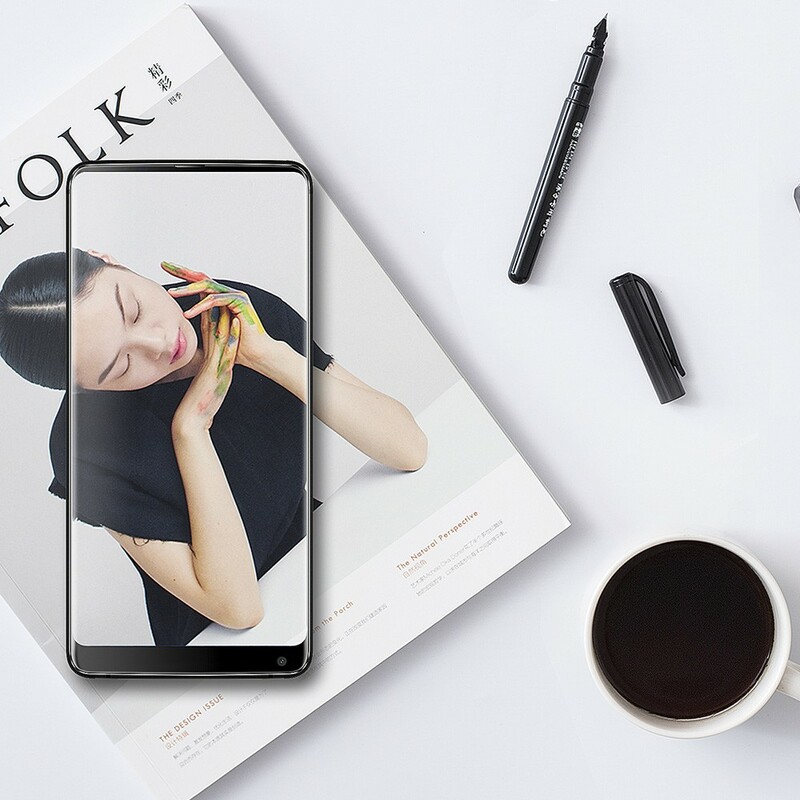 Mini PC Standard/Powerful Hardware & Optimized SoftwareErgonomics design with exquisite workmanship, light and tough, silk smooth and soft touch, premium feel. 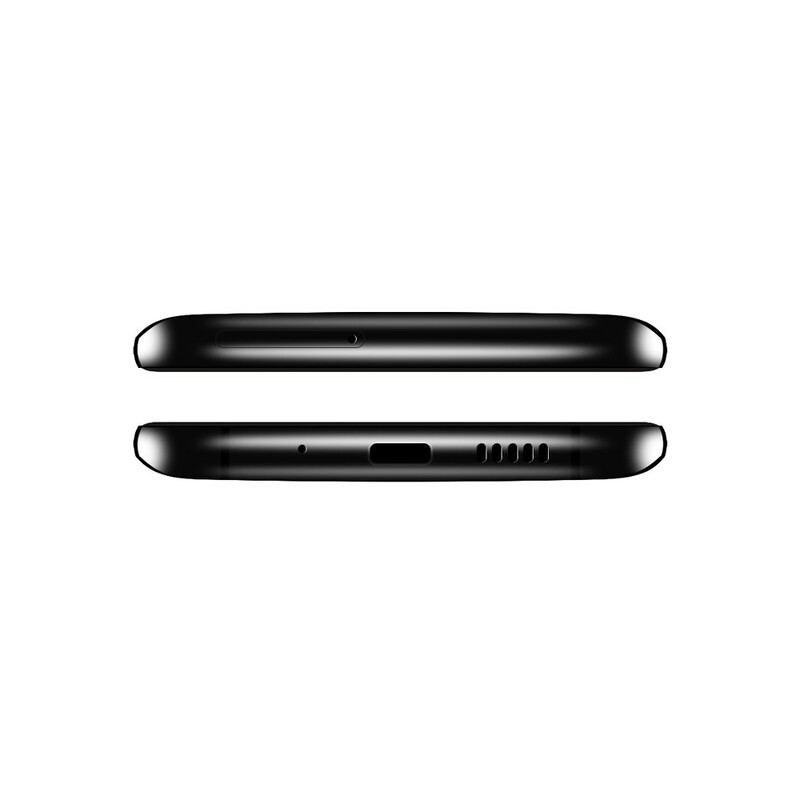 • 4G WCDMA & WiFi Lighning-speed Network: Dual SIM dual standby. 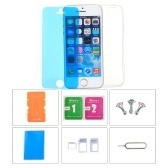 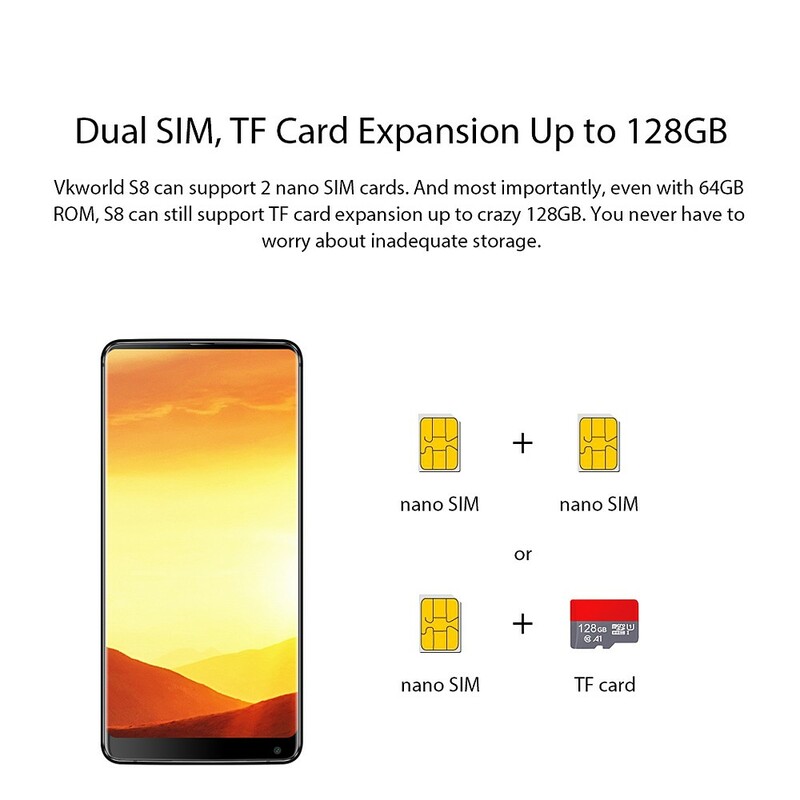 Supports 1*Nano SIM+1*nano SIM/TF up to 128GB expansion. 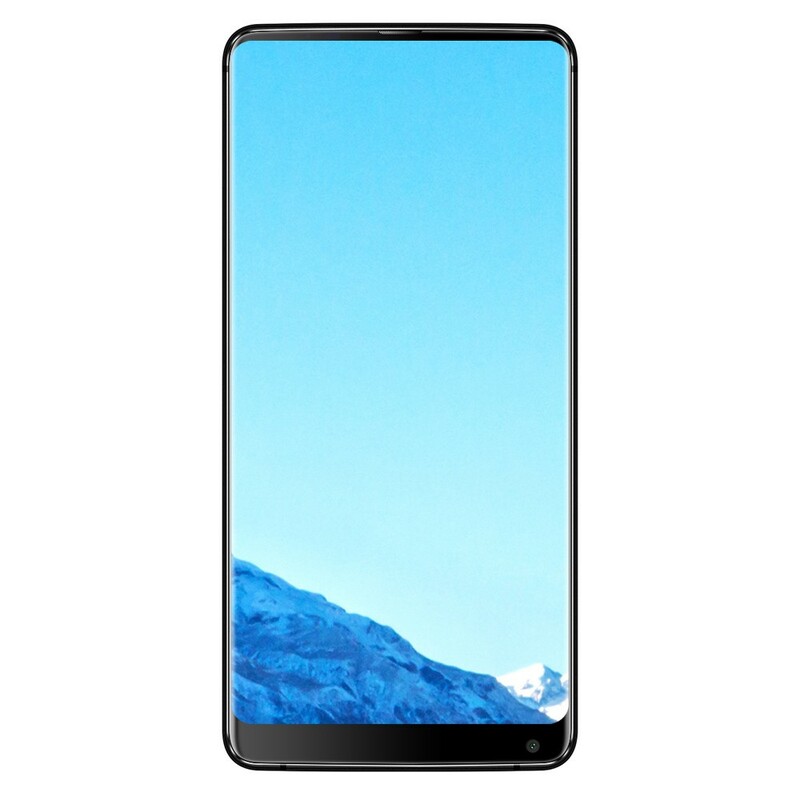 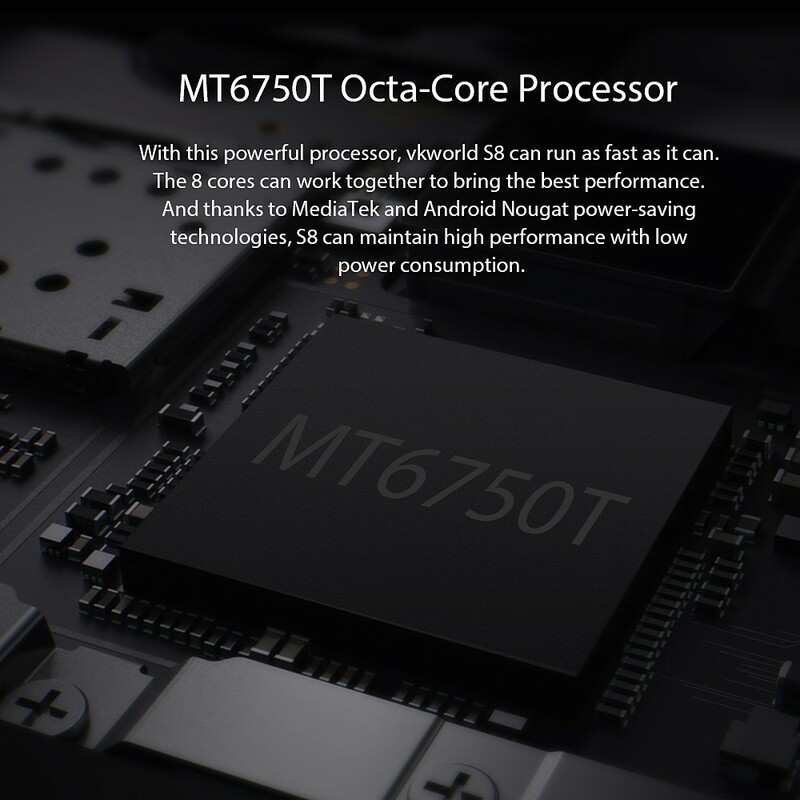 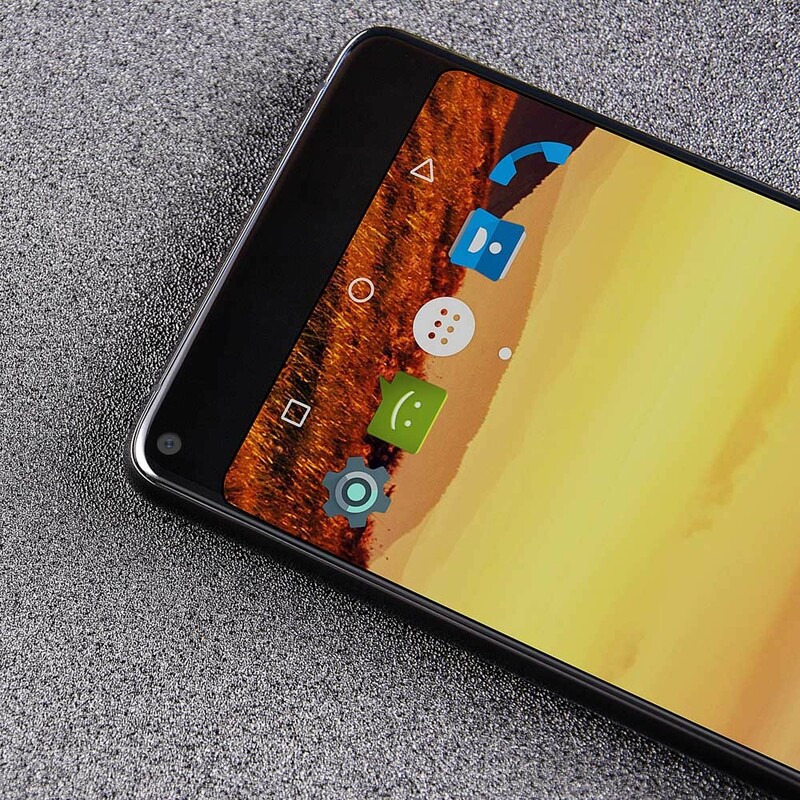 • Numerous Functions: Latest Android 7.0 Smoother Operation System, S8 support Google Play Store, Google Maps, Gmail, Smart Gesture, FM, GPS, BT, WiFi, OTA, etc. 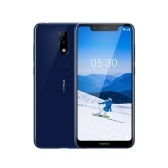 Multilanguage English, Spanish, Portuguese, Italian, German, French, Russian, Arabic, Malay, Thai, Greek, Ukrainian, Croatian, Czech, Simplified Chinese, Traditional Chinese etc. 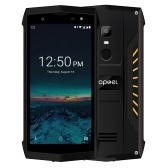 Q Everywhere I search I find the phone is out of stock ! 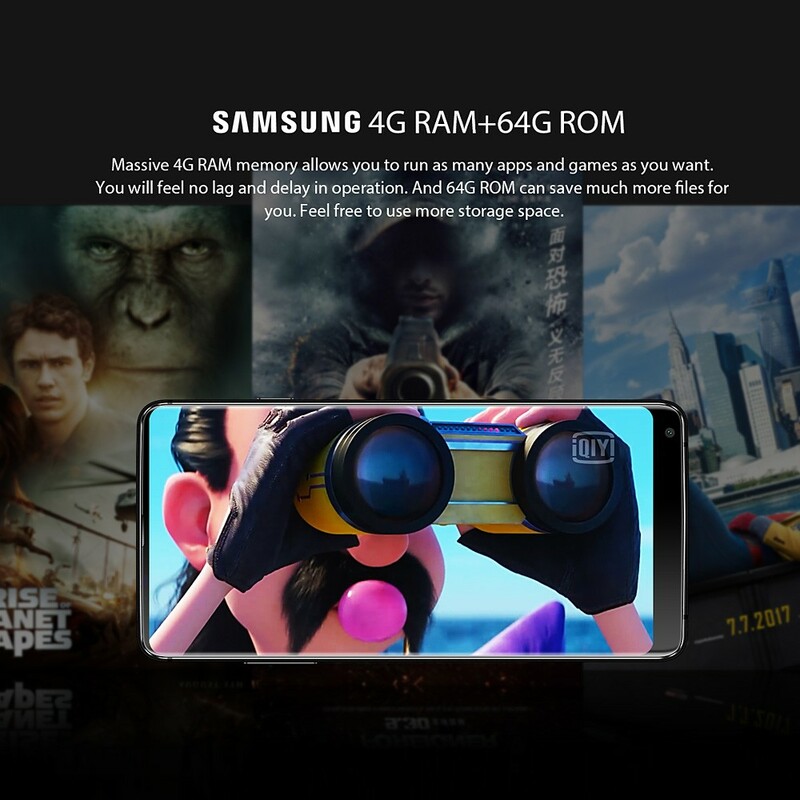 When will it come back to the market ? 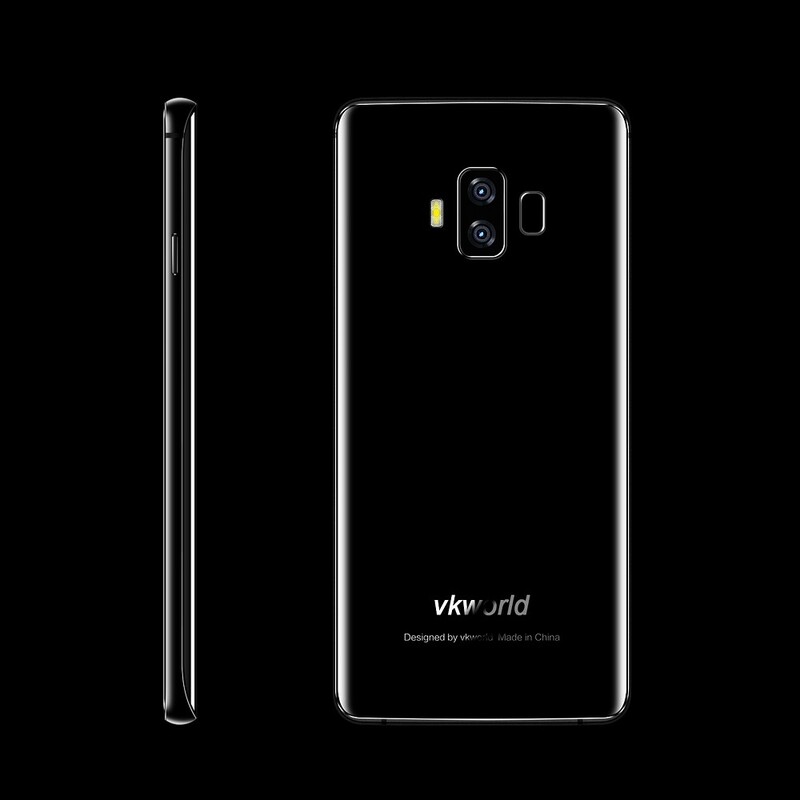 I suspect that when it does it will be priced much higher than it has been listed. 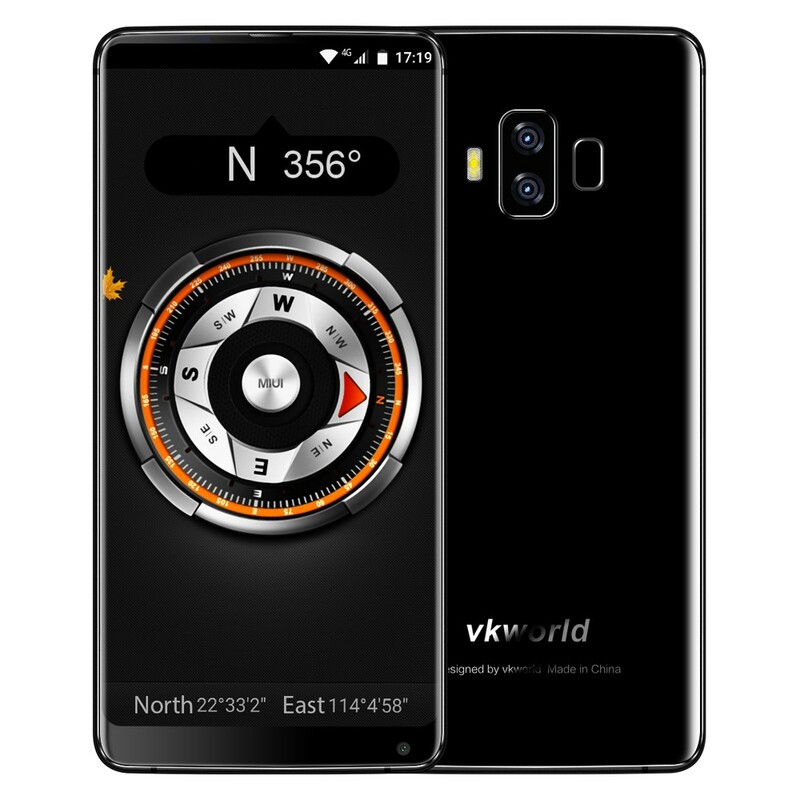 I am in the US and will it operate here ? 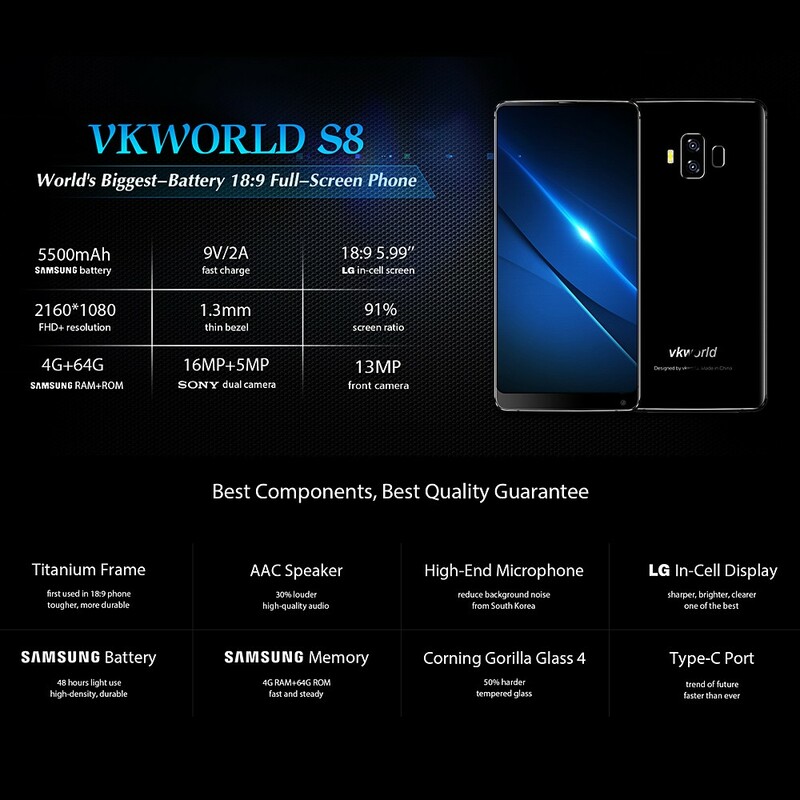 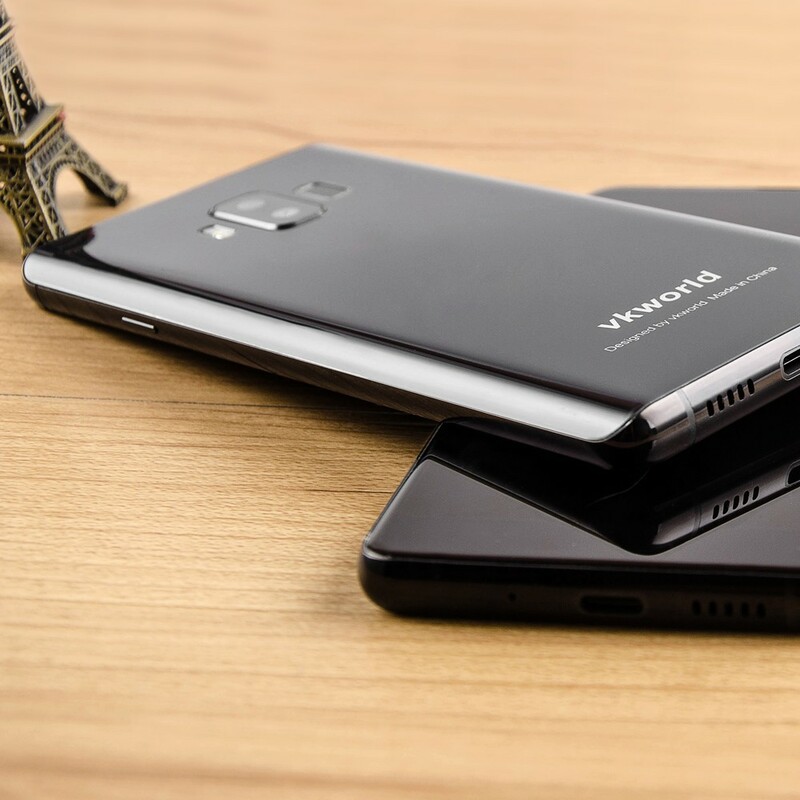 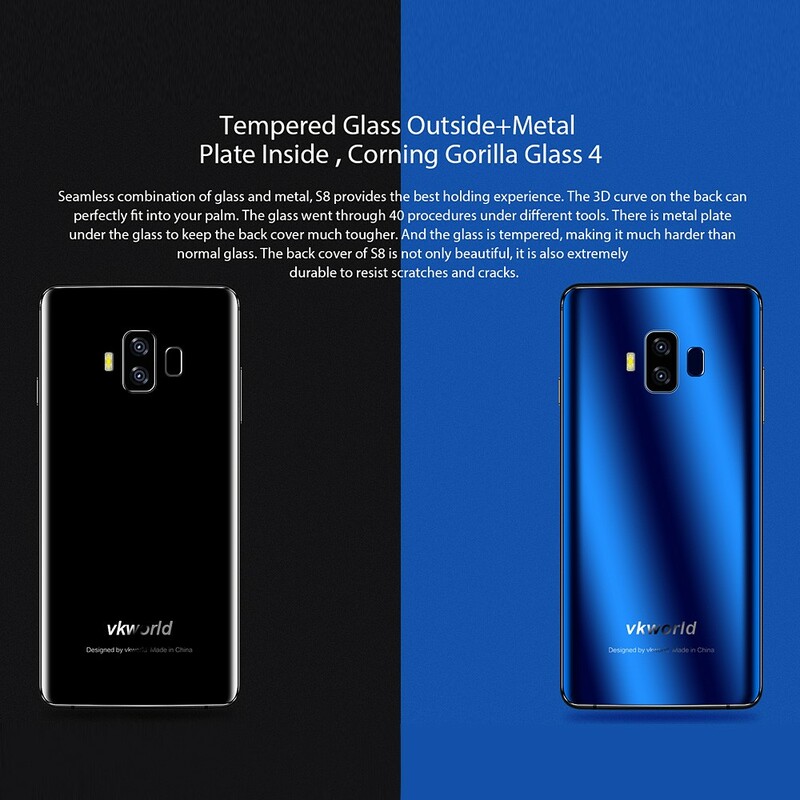 If I can't acquire this phone (VK World S8 smartphone) then I will perhaps select the Elephone S8 instead. 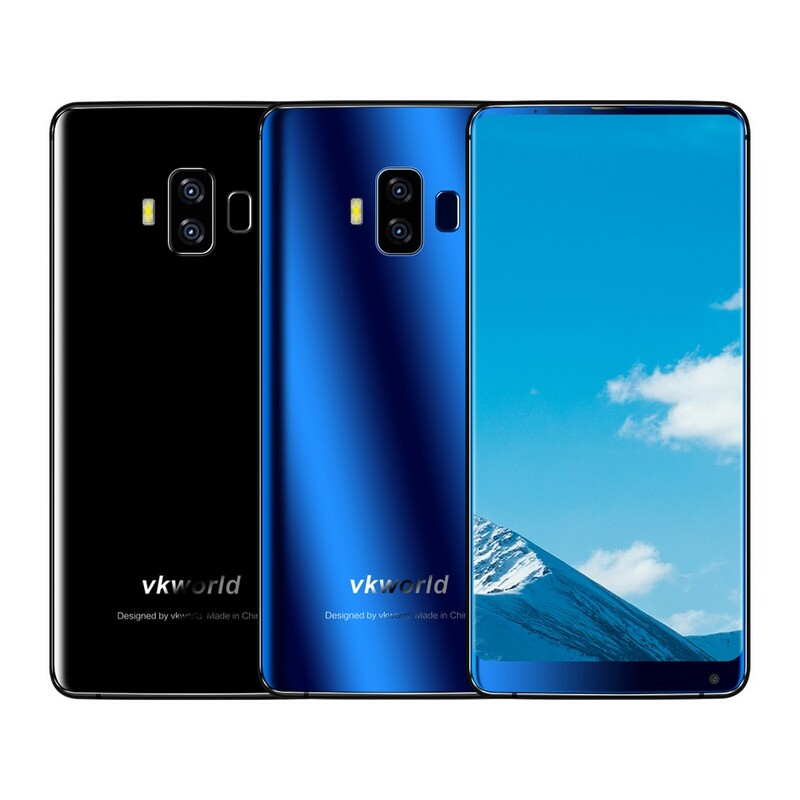 Also, I like the blue. 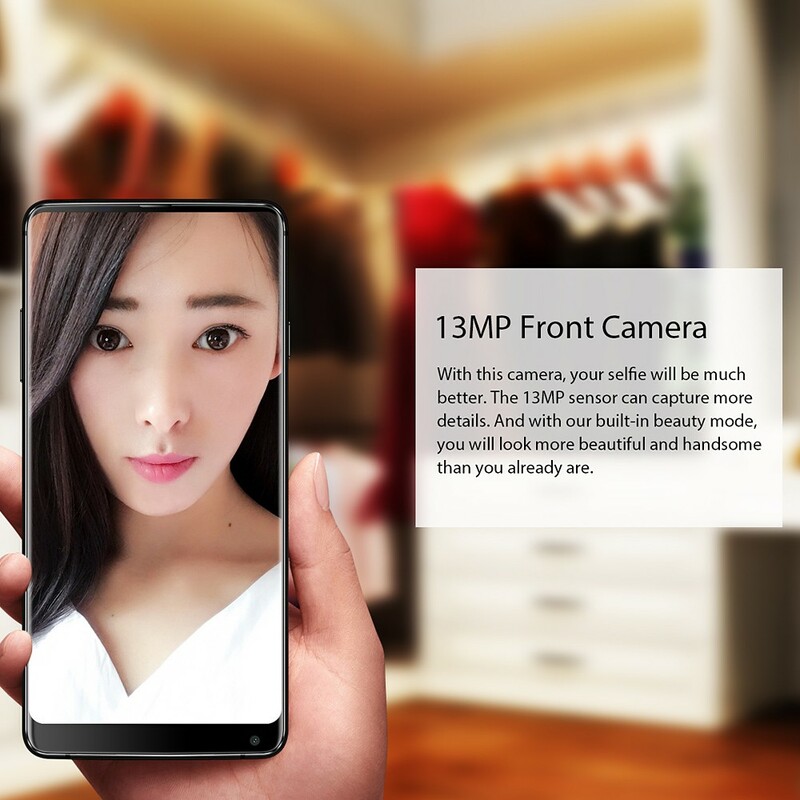 A Sorry this product is currently only a small amount of inventory in China's warehouses. 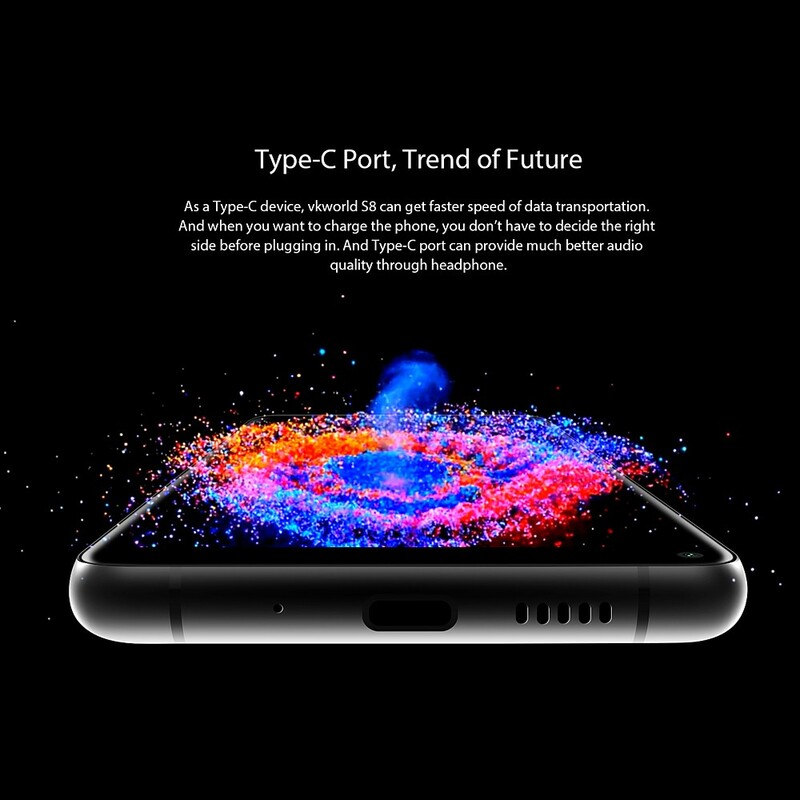 I am very happy with Mobile phone.Has great features.